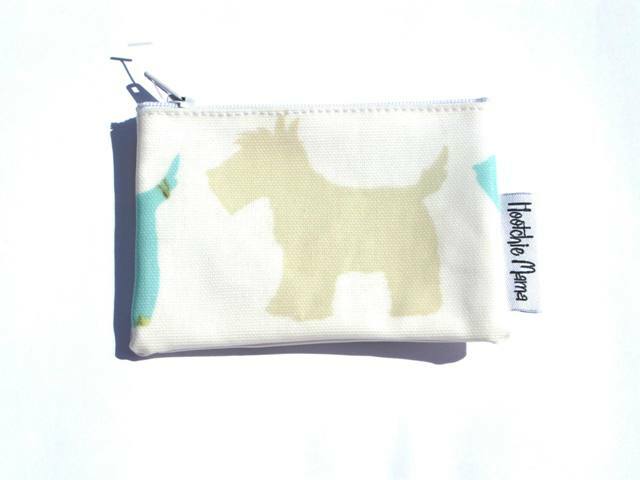 Super handy purse in this scottie dog oilcloth. One side has a teal scottie dog and the other side the matching fawn scottie dog. The perfect size for holding all your essentials - a credit card, key and coins; a dummy for your little one; pocket money; anything small your heart desires!